A draft Bill seeking to protect the region from counterfeit products could deny millions of people living with HIV/Aids access to life-saving generic anti-retroviral drugs if passed, a new report says. Civil society activists and intellectual property experts warn that generic medicines have wrongly been labelled “fake” and “counterfeit” under the EAC Anti-Counterfeit Bill, which will block the production and importation of generic drugs into East Africa. If passed, the Bill could see the region lose recent gains made in improving access to healthcare, especially for people living with HIV/Aids, and would significantly undermine the region’s progress in attaining Millennium Development Goal 6, which calls on countries to halt the spread of HIV and Aids by 2015 and achieve universal access to treatment for HIV and Aids by 2010. It also aims at halting and reversing the spread of malaria and tuberculosis by 2015. 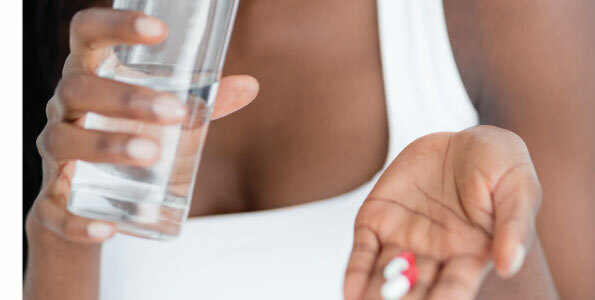 “This policy, in its current form, would not in any way address the question of quality of medicines but instead has the potential to negatively affect both regional and national initiatives in EAC partner states to protect the right to health and life as well as improve public health,” the report by Southern and Eastern African Trade Information and Negotiations Institute (SEATINI) notes. The report investigating patents, laws, policies and institutions related to access to medicine in the EAC indicates that the Anti-Counterfeiting Policy does not provide for the use of Trade-Related Aspects of Intellectual Property Rights (TRIPS) flexibilities as the World Intellectual Property Organisation recommends. These flexibilities would allow trade in generic medicines as long as they are not counterfeit, experts say. Instead, the Bill makes recommendations for seizure and detention of all suspected counterfeit goods, under which generic drugs have now been categorised, affecting the cross-border flow of generics. “Let’s harmonise laws according to our needs; we need to be proactive and negotiate to change these agreements and take advantage of the flexibilities where we think it will help,” said Nathan Irumba, chief executive officer of SEATINI. The survey conducted in March by SEATINI and Centre for Health, Human Rights and Development and Health Action International notes that while intellectual property holders view IP enforcement as a critical tool for their business, some health groups, consumer groups and other stakeholders have expressed concerns over possible abuse such as preventing market entry by competitors and compromising efforts of technology transfer. “Generally on the East African level, they are mixing up intellectual property and quality issues. We need to make sure that mistakes made at national level do not escalate to the East African level first,” Melba Kitindi of Kenya Legal and Ethical Issues Network observed. According to Mr Kitindi, the civil society has to understand the operation of the East African Community and inform the people so that they can have a say on what is going on. This is a view shared by a lawyer with the Centre or Health Human Rights and Development, Moses Mulumba. “The operation of the EAC is confusing on the one hand they suggest utilising TRIPS flexibilities under the [World Trade Organisation] Protocol and on the other, they take away the flexibilities under the proposed anti-counterfeiting Bill and Policy,” he said. Mr Mulumba blamed policymakers for “signing agreements before understanding what they are signing” leaving little room to mitigate what they have already done. However, Uganda Ministry of East African Community Affairs commissioner Ronah Serwanda defended the EAC arguing, “The EAC recognises those issues and has a policy, legal and institutional framework to handle that. We are looking into how we can form partnerships between government and civil society so as to form strong laws which do not infringe on access to medicine.